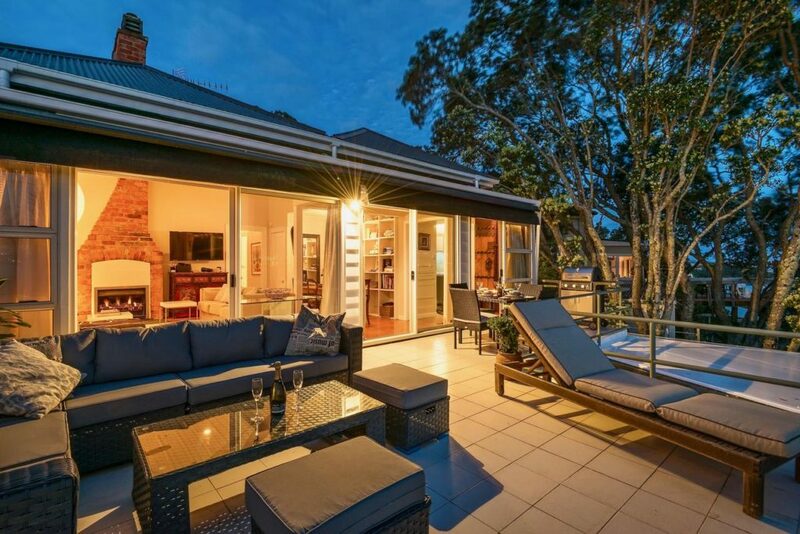 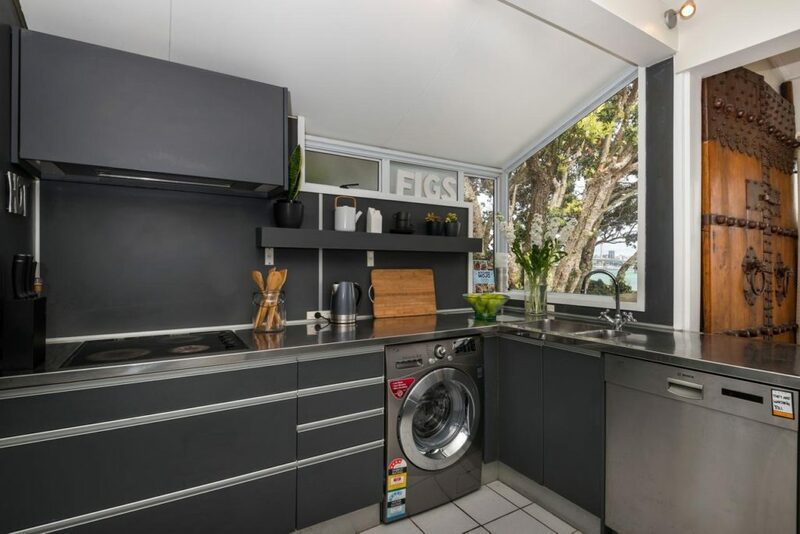 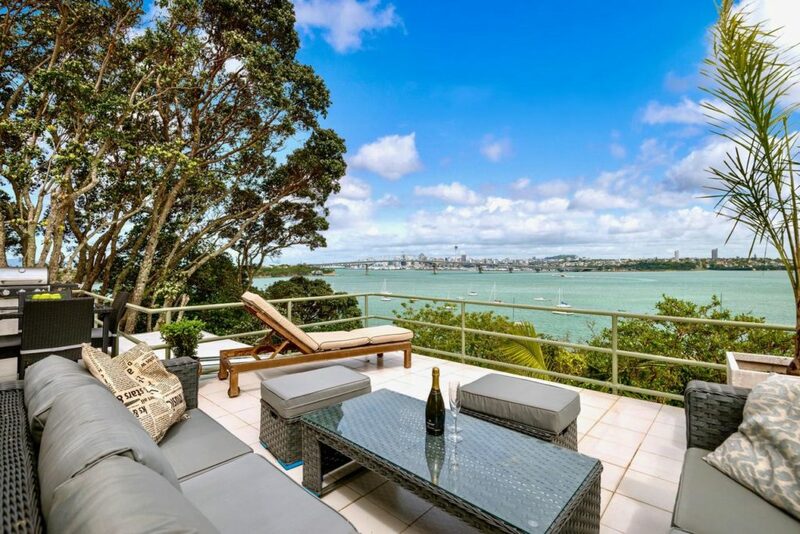 Water’s edge 2-bed villa in Birkenhead Point, just a few metres up from the wharf. 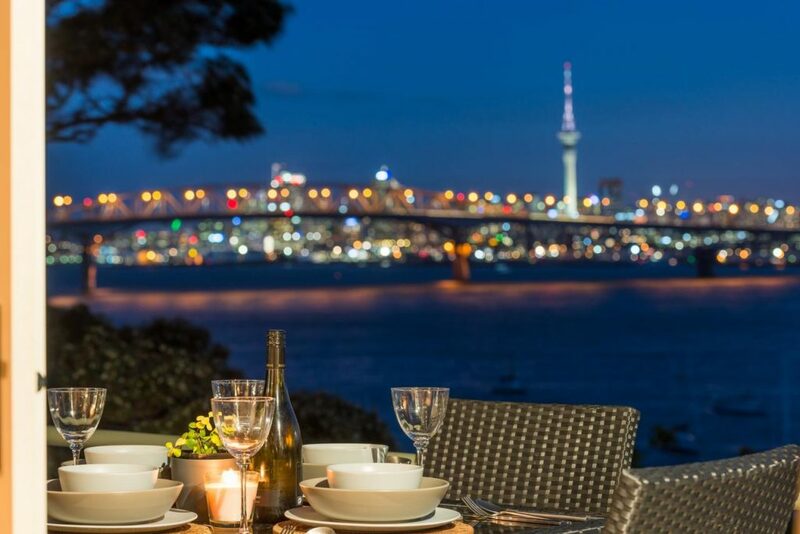 In the evenings watch the lights of the harbour bridge, sky tower and city twinkle across the water while you relax on the outdoor deck, drink and BBQ. 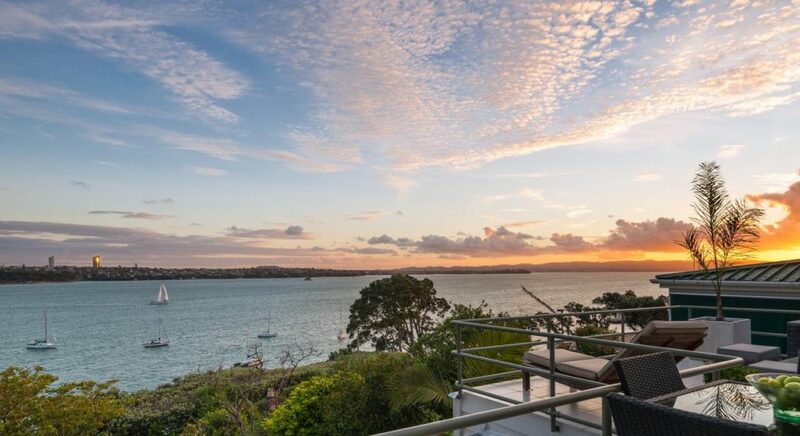 This luxury house has the most spectacular views across Auckland you could imagine and is fully equipped with everything you could possibly need for your stay in Auckland. 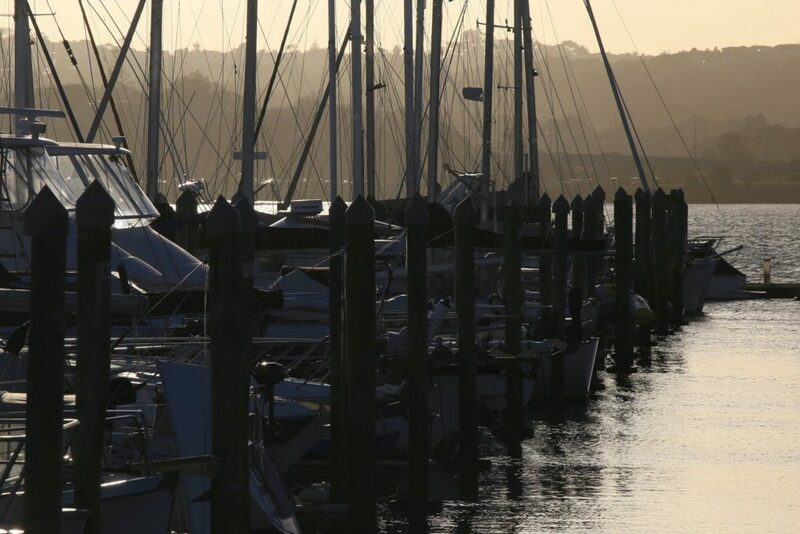 Just a short ferry trip or drive from Devonport. 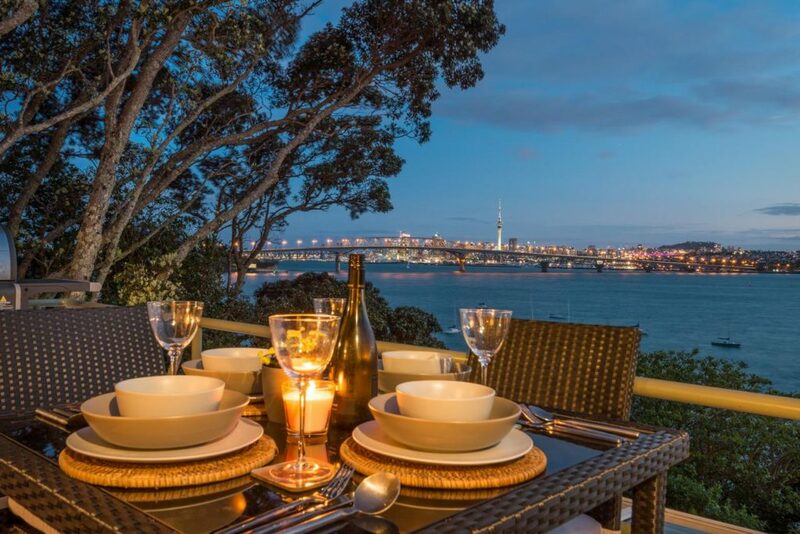 Average guest rating on Booking.com of over 9/10.